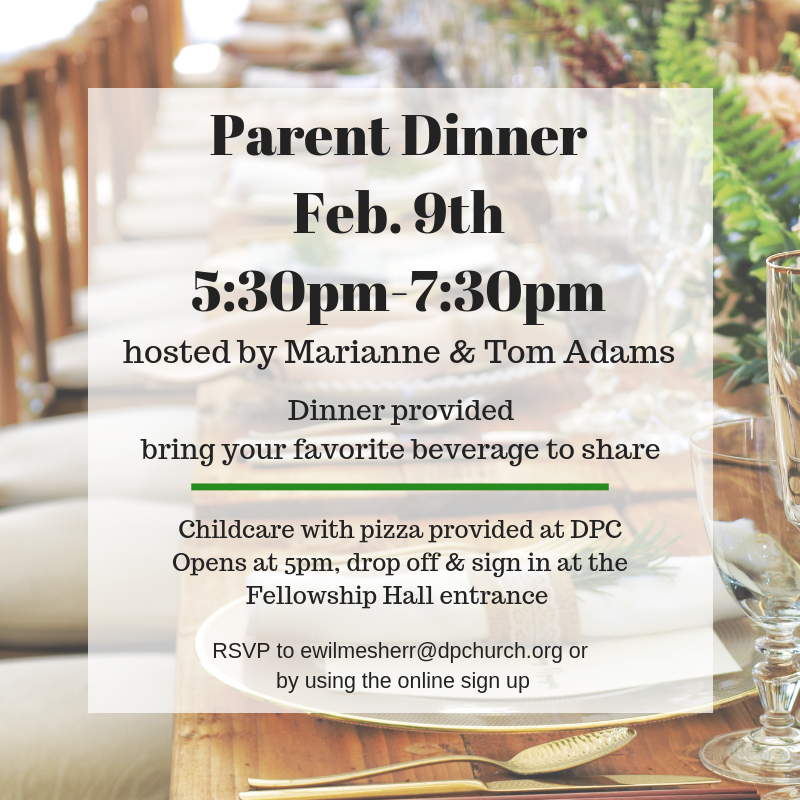 Marianne and Tom Adams are hosting a dinner for parents of young children at their home beginning at 5:30 pm. They will provide the food if you will bring your favorite beverage to share. Childcare will be provided at the church starting at 5 pm. Dinner will be provided for them as well. Please RSVP for any adults AND children that will be attending by February 6th. Email Emily with any questions.